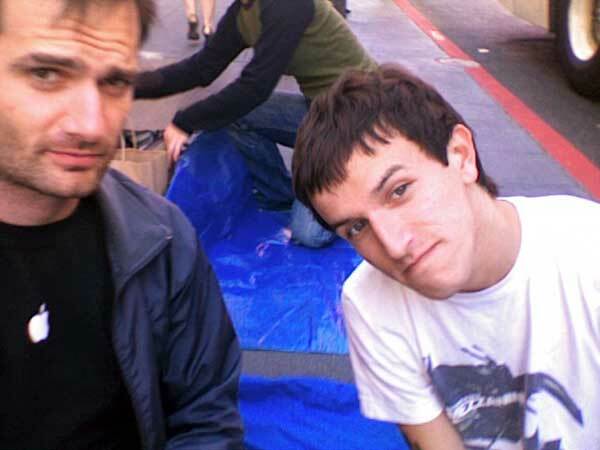 "I'm in front of the Apple Store in San Francisco," an AppleInsider contributor submits. "There is a comedy circus group that's set up a mini golf course, a musician playing a keyboard, a business man in a suit with a MacBook Pro, and various others queueing down the street." 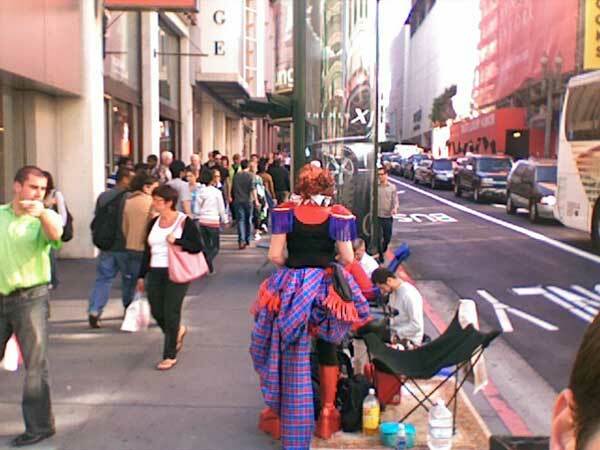 It's barely 6:00 p.m. on Stockton Street —more than 24 hours before iPhone will hit the Apple flagship shop on the corner —and things have already grown quite nutty. Earlier on, a clown troupe moved onto the block, bearing all sorts of iPhone-related propaganda— including "a mini cardboard iPhone shuffle," which the clowns say will call your friends randomly. They're touting an even smaller version too; it's called the "iPhone nano." "Get it now, it's your last chance!" shouts a clown. You can catch the photos, below. Thumbs up to the line organizers, however, who are handing out bottles of water and allowing people to jump out of line temporarily to take showers and buy food. On the other hand, they claim those online can't hold places for other people. 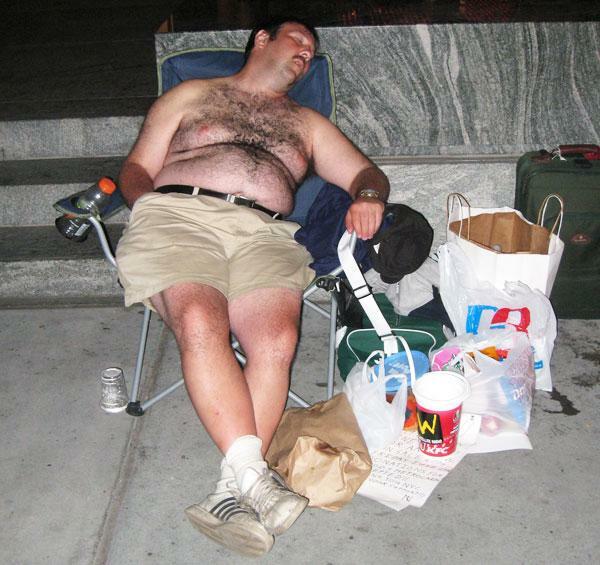 Professional line waiter Greg Packer awaits iPhone outside Apple's flagship shop in Midtown Manhattan. 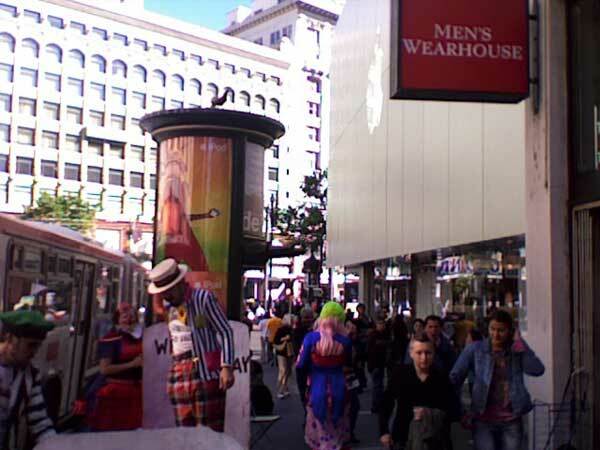 The circus arrives Thursday outside Apple's flagship shop in downtown San Francisco.